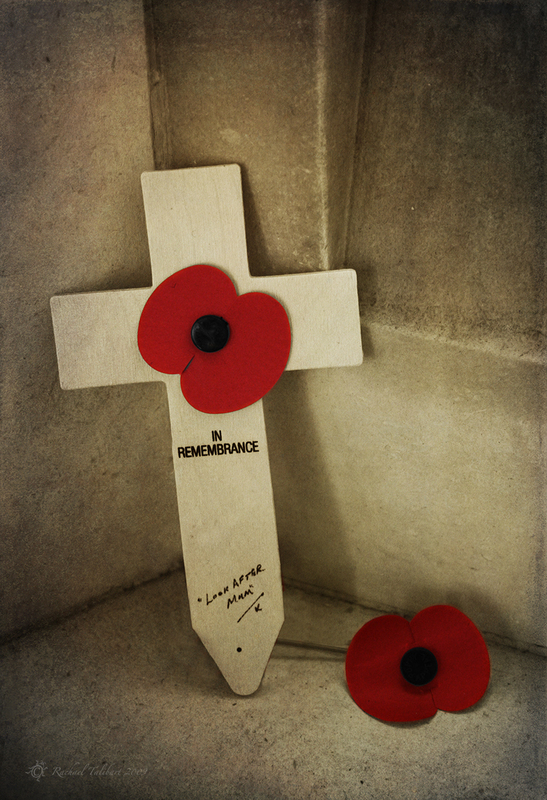 No matter what you think about the politics of conflict, today is a day to remember those who have died in war. 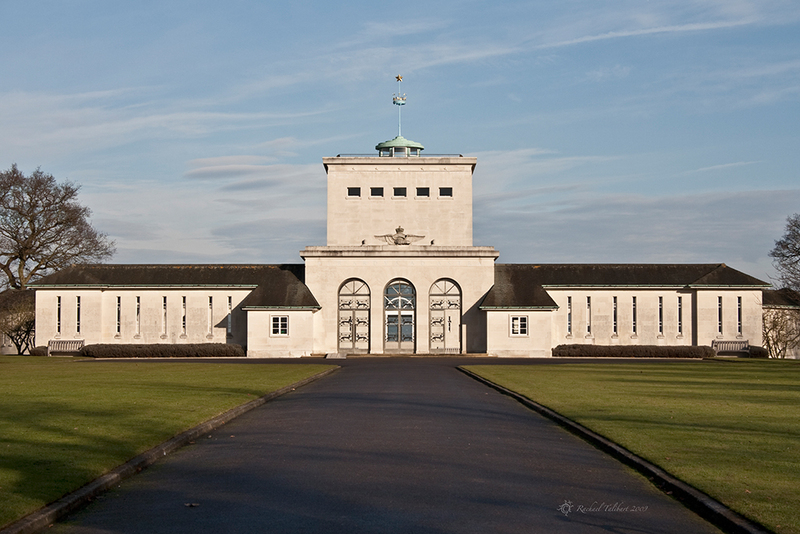 I want to share some images of one of my local war memorials, the Air Forces Memorial at Runnymede. 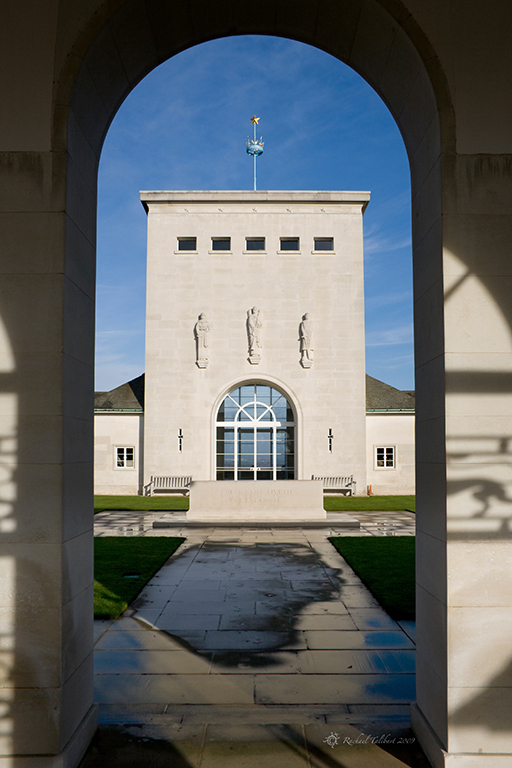 Perched high on a hill above the water meadows of Runnymede, the memorial is a peaceful building of cool stone, echo and shadow. Inside are commemorated over 20,000 airmen lost during World War Two but for whom there is no known grave. 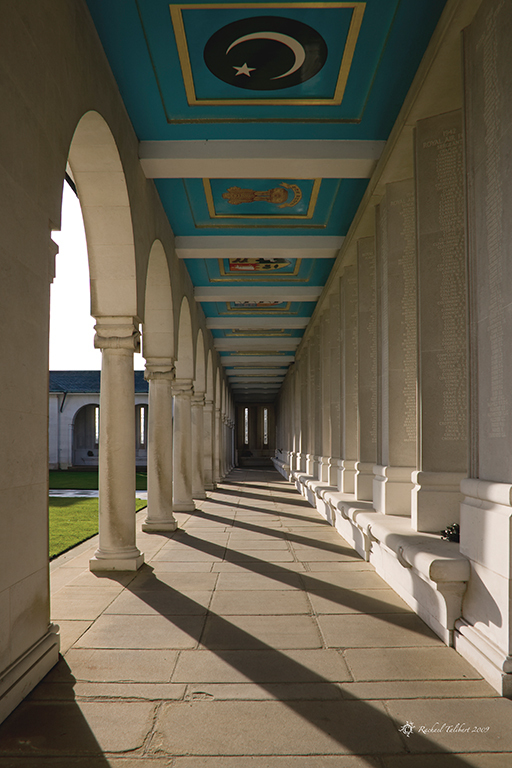 The names of those killed seem to run on as endlessly as the memorial’s labyrinthine corridors. Flags in the roof remind us that the war dead came from all nationalities. So many young men were lost, literally. With no body found, often the name carved on the wall is all that family have to mark their loved one. Countless small tokens left in nooks around the walls show that even all these years later, individuals are still remembered and mourned. 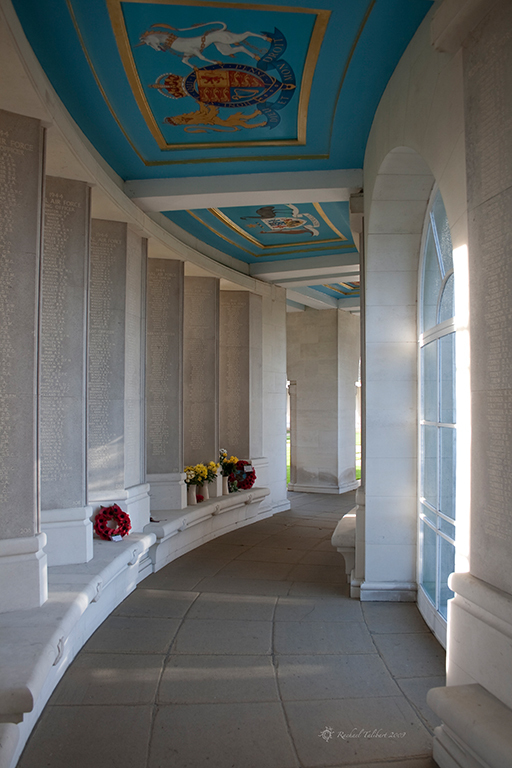 The Air Forces Memorial at Runnymede is a beautiful place, yes, but also a sobering one. It was somewhere I was pleased to take my teenage son whose idea of conflict is influenced by computer games and adventure movies. As we walked the corridors and porticoes, he became quiet and thoughtful. As did we all. 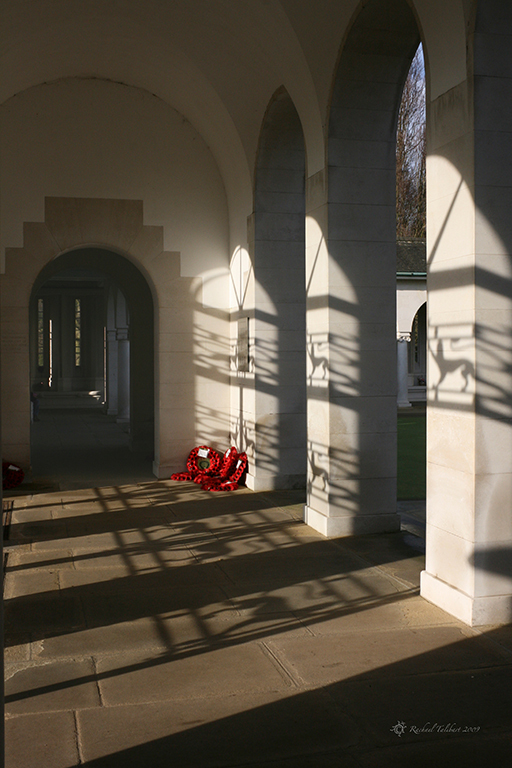 This entry was posted in photography, travel and tagged Air Forces Memorial, commemoration, loss, photographs, photography, remembrance, Runnymede, war, war memorial, WW2 by Rachael. Bookmark the permalink. Even though my wife is a science teacher she has several times taken school trips to Flanders (there were no history teachers willing to give up the weekend). She tells a similar story. The teenagers start off all excited, loud and brash but after walking around one of the war cemeteries, they become very quiet and thoughtful. The evening service at the Menim Gate in Ypres is usually a moving affair for them and they will often ask to participate by laying a wreath. I can’t think of a better way to commemorate the day than to reblog this… one of the best memorials I’ve seen and your presentation speaks volumes. A very moving tribute to veterans from around the world… if only our leaders could keep these fallen in their hearts before dashing madly into war.